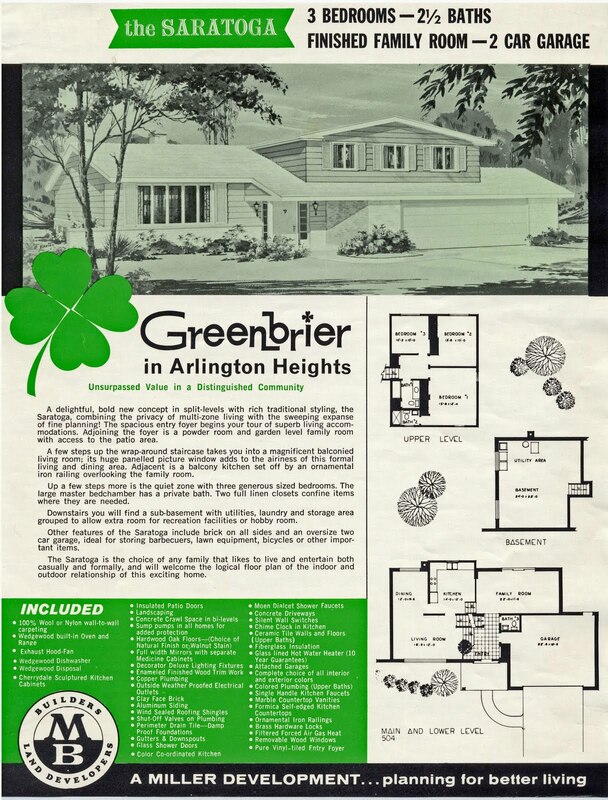 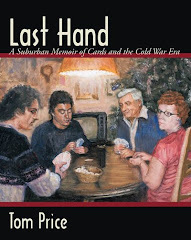 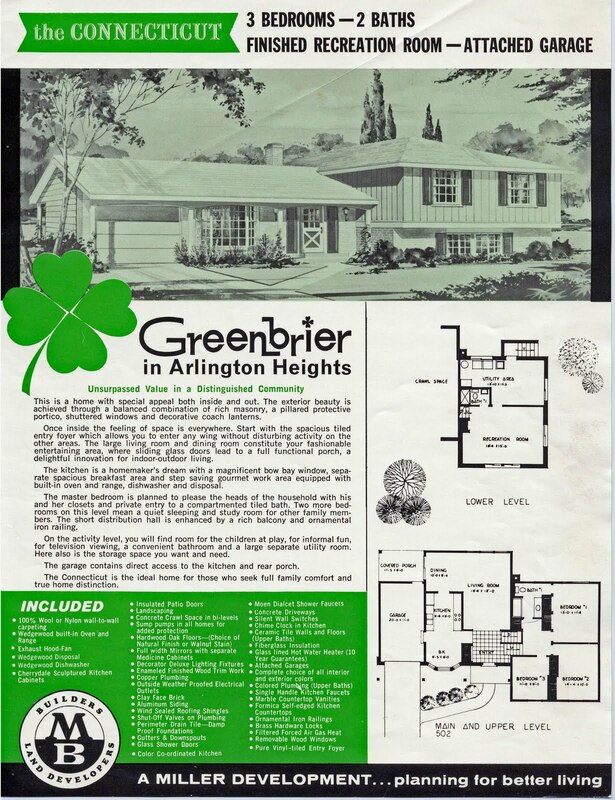 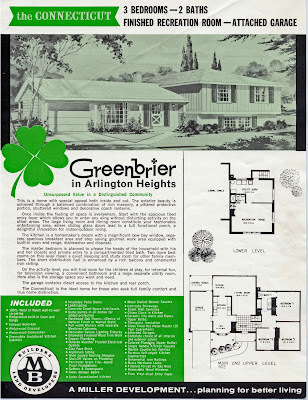 I write about the development of the Arlington Heights subdivision, Greenbrier in the book Last Hand: A Suburban Memoir of Cards and the Cold War Era. 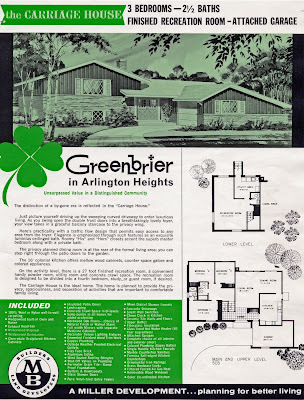 The subdivision became another character in the book as the community changes over time. 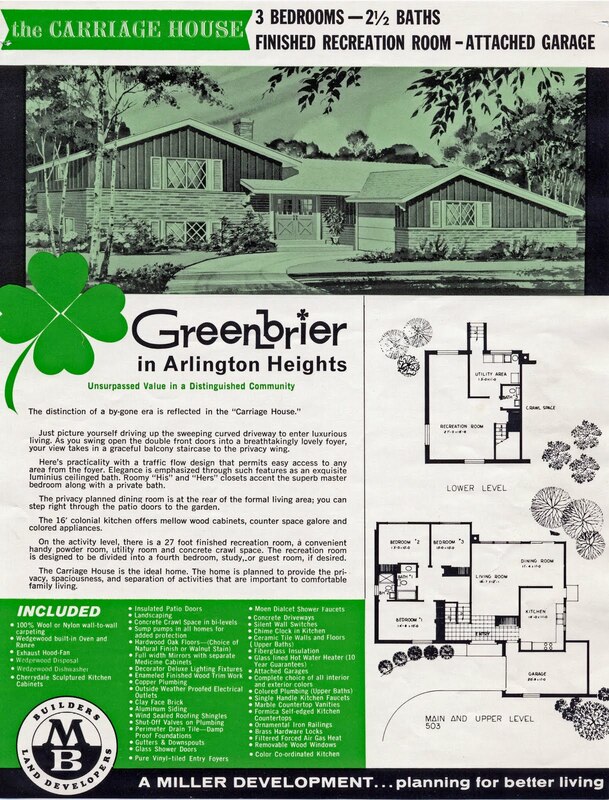 Below are images from the marketing packet I described in my previous post. They show the models of the available homes in the later half of the Greenbrier development. Miller Builders made very similar models in other developments in other suburbs around the Chicago area. Click on the images for a closer view. 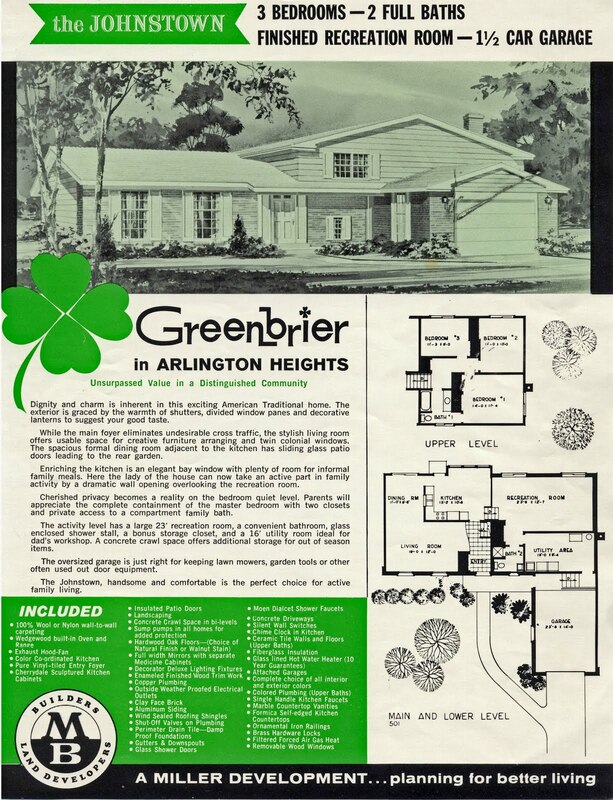 If you lived in Greenbrier you just might find your house.